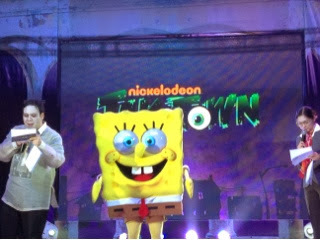 For loyal Nicksters like us, Nickelodeon's Halloween event was an event we dare not miss. 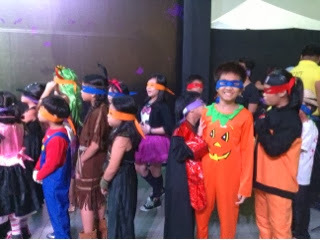 Every year, we look forward to Halloween, not just for trick or treat activities that's sure to satisfy one's sweet tooth cravings, but more so for the Nickelodeon event. It may seem like a family tradition, but it is indeed something that we always look forward to. This year was no different. 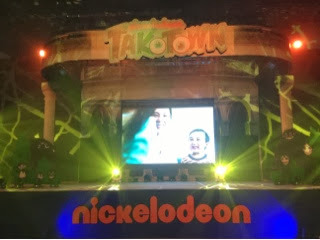 Nickelodeon's TakoTown was recently held at the Halls 1 and 2 of the SMX Convention Center, SM Mall of Asia. 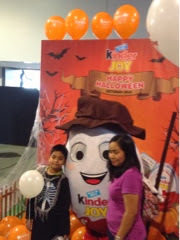 An afternoon of awesome games, prizes and surprises for all the Nicksters who came, Nickelodeon's Takotown was a family oriented event. 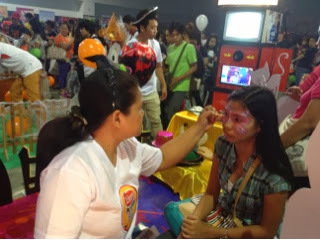 Mommies, Daddies, Grandmas and Nannies--practically the entire family all came in full support for their the kids. 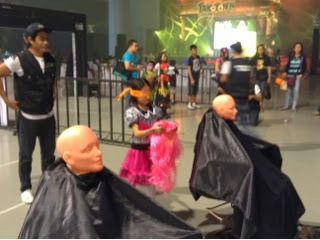 I even spotted some adults wearing costumes themselves. It's so nice to see them all together spending quality time and bonding with their families. 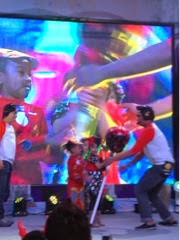 Candies, toys, freebies and tons of goodies were given away for kids to enjoy. 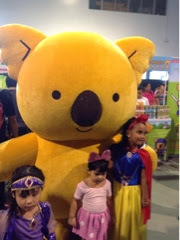 Mascot appearances plus the chance for photo opps were provided by Nickelodeon partner sponsors; Lotte Koala's March, Kinderino from Kinderjoy, Grimace from McDonalds and Appebon Kid from Appebon. 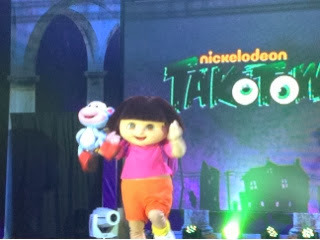 Of course, Nickelodeon's event will never be complete without the presence of our beloved fave Spongebob also came with his friends Dora the Explorer, Patrick Star and the appearance of Leonardo and Donatello of the Teenage Mutant Ninja Turtles. The program kicked off with a stunning dance production number from Planet Zips. 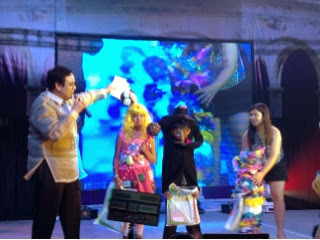 The event were hosted by Robi and Lesley, both wearing cute halloween costumes too. 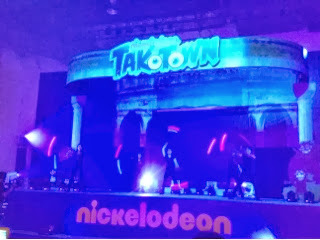 Nickelodeon also held game booths for everyone to enjoy as well as on stage games for a chance to win awesome prizes. 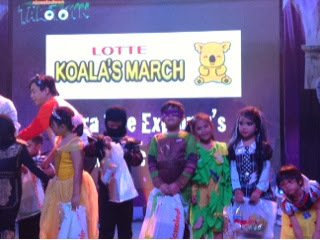 They also awarded the best in costumes for spookiest, hero character and most creative. 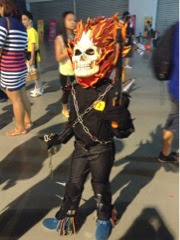 One of the winners even had The Candy Crush outfit while the other had The Ghost Rider outfit. 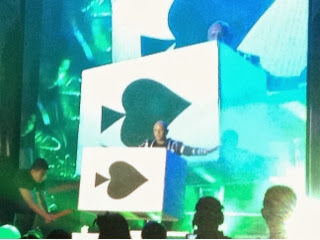 There was also the well-applauded intermission number of Drac Cigam, an illusionist who made the audiences in awe with his magic and illusions. 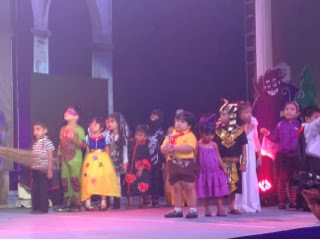 I had seen the oohs and aaahs of the audience as Drac Cigam made his acts on stage. Hmmm...To be honest as of this writing, I still wonder how he was able to pull off such acts though. But it made the crowd glued on to their seats. 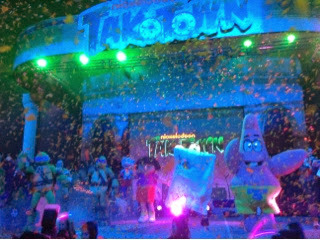 The event ended with a closing number by Planet Zips followed by a confetti blizzard to the kids delight. 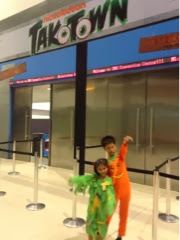 In a nutshell, Nickelodeon's Takotown was indeed another fun-filled activity for the whole family. 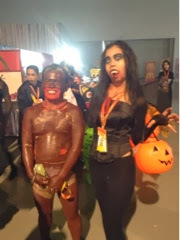 It was one memorable afternoon, celebrating halloween pinoy style. 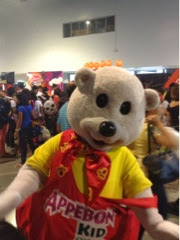 For further updates on future Nickelodeon events, please log on to www.nick-asia.com like them on facebook http://facebook.com/NickAsia. 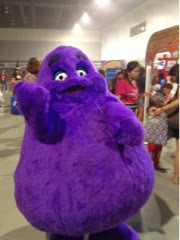 Purple Plum Fairy thanks Stratworks' Ginny Guanco and Kezia Romblon.